VARIETY – The “Star Trek” universe is expanding. During the Comic-Con panel for “Star Trek: Discovery,” show co-creator and executive producer Alex Kurtzman announced the upcoming launch of a four-part miniseries titled “Star Trek: Short Treks” this fall. Rainn Wilson will return to play Harry Mudd in a short he will also direct, while Aldis Hodge will star in another as Craft, a man who finds himself as the only human on board a deserted ship. Additional episodes include a deep dive into Saru’s (Doug Jones) backstory as the first Kelpien to join Starfleet, and Tilly’s (Mary Wiseman) journey aboard the U.S.S. Discovery and her friendship with an unlikely partner. In addition to the announcement, “Discovery” fans were treated to the first trailer for the upcoming second season, which came days after images from Season 2 were released, depicting Michael Burnham aboard the U.S.S. Enterprise and Linus, a Saurian officer. The trailer links “Discovery,” which is set roughly a decade before James Kirk takes the bridge of the U.S.S. Enterprise, with former Enterprise Captain Christopher Pike taking command of the U.S.S. Discovery, due to a Federation regulation that takes effect in times of imminent danger. Red flares are popping up throughout space and the Federation can’t determine whether they’re friendly greetings or malevolent declarations. To top it off? Vulcan icon Spock may be involved. The trailer also offers a first look at the show’s spiffy throwback uniforms, with Pike’s duds giving fans a flashback to the gold shirts of the original series. EW – Aldis Hodge is heading to The Blacklist! EW has learned exclusively that the Underground and Hidden Figures actor will guest-star on the NBC drama in an episode slated for May. Hodge will play Mario Dixon, a high-end thief with uncommon tastes. He’s on the FBI’s Most Wanted list for stealing luxury items, but with his powerful physique and violent tendencies, he’s not afraid to get his hands dirty. Though he’s not technically a blacklister, Mario is definitely not a good guy. The Blacklist returns Thursday, April 20 at 9 p.m. ET on NBC. The Blacklist: Redemption airs in that timeslot until then. THE HOLLYWOOD REPORTER – Taraji P. Henson and Octavia Spencer are starring in the film about the women who helped NASA’s first successful space missions. On the day his new show Underground premieres, Aldis Hodge has lined up another role. He’ll join Taraji P. Henson and Octavia Spencer in the based-on-a-true story film Hidden Figures. Theodore Melfi is directing the film that centers on a team of African-American women who helped NASA with the mathematical data needed to launch its first successful space missions. Janelle Monae plays the third woman in the trio of mathematicians who help out the space program. Kevin Costner is also attached to the film, which is being produced by Chernin Entertainment and Donna Gigliotti. Allison Schroeder wrote the screenplay based on Margot Lee Shetterly’s book, which will hit shelves in September via HarperCollins’ William Morrow. The success of Universal’s “Straight Outta Compton” continues to pay dividends for its breakout cast — Aldis Hodge, who played MC Ren in the film, has landed his next project. Variety previously reported that “Heroes Reborn” star Danika Yarosh was the choice for one of the female leads along with Cobie Smulders, who is currently in negotiations to join the film. Ed Zwick is set to direct. Zwick and and Marshall Herskovitz wrote the most recent draft of the script after Richard Wenk penned the original draft. Paramount grossed $218 million worldwide from 2012’s “Jack Reacher,” directed by Christopher McQuarrie from his own script based on the Lee Child series of novels. The sequel will be based on Child’s “Never Go Back,” in which Reacher travels from South Dakota to the Virginia headquarters of the U.S. Army Military Police Corps and finds that his new commanding officer has been arrested. Details on Hodge’s role are under wraps at this time. Cruise and Don Granger are producing. Hodge joins his fellow “Straight Outta Compton” co-stars Jason Mitchell and Corey Hawkins in lining up high profile followups to the N.W.A. biopic. Both Mitchell and Hawkins were recently cast in the King Kong prequel “Kong: Skull Island” which just left Universal for Warner Bros.
Hodge previously appeared in a recurring role on AMC show “Turn” and some of his past credits include “The East,” “Leverage” and “A Good Day to Die Hard.” He is repped by Paradigm and Priluck Company. 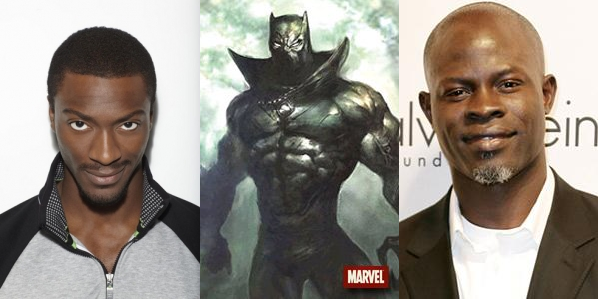 Is Marvel Studios Targeting Black Panther Debut Soon With Actor Aldis Hodge in Mind? Posted on September 10, 2012 September 10, 2012 Written by Admin - AliKat No Comments on Is Marvel Studios Targeting Black Panther Debut Soon With Actor Aldis Hodge in Mind? Before Marvel Studios announced that Guardians of the Galaxy would be hitting the big screen in August 2014, rumors were rampant saying a Black Panther movie would be the next solo franchise to be release. Obviously this was not the case but recent information has rumors circulating saying that Black Panther could be joining the Marvel cinematic universe sooner than later. Per the Twitter account owned by one unknown Roger Wardell, who has reported Marvel info before the studio has made official announcements about the same info, it seems actor Aldis Hodge (Leverage) is a possible target to play the King of Wakanda. Well, technically Wardell said Hodge is on the radar but doesn’t give further details. Having Hodge as Black Panther is merely a guess on our part but it makes sense seeing as how Hodge was quoted as talking about this role back in July, during Comic-Con. Hodge continued, and showed a bit of the fanboy in him, regarding the potential of making an actual Black Panther movie. Perhaps Marvel is considering a debut for the Black Panther in one of their other Phase Two solo films of maybe in The Avengers 2. But this is just a guess on our part, here at The Daily SuperHero. Whether we can consider this Wardell Twitter account to be legit or not remains to be seen but his track record seems to speak for itself since he did report on casting news for Captain America: The Winter Soldier before Marvel made their own announcements. Oh No They Didn’t! readers debate – Aldis Hodge for Black Panther…or Lil Romeo? Posted on June 27, 2012 June 27, 2012 Written by Admin - AliKat 1 Comment on Oh No They Didn’t! readers debate – Aldis Hodge for Black Panther…or Lil Romeo? With Marvel possibly doing a film on the Black Panther, is that a role you can see yourself doing? Romeo Miller forever Lil’ Romeo: I would love to. I remember that before ‘Jumping the Broom’ got released, there were some producers were talking about shopping the script to some people and I was one of the people they contacted and was asked if it was something I would be interested in. You never know. I definitely want to take in and be the next big action hero. That may be something that’s cool. Do you have a favorite comic book series? Aldis Hodge: Growing up I was a fan of Black Panther and X-Men comic books. I was also a huge Batman fan. There’s recently been a little buzz online about Marvel pushing for Black Panther, and I’ve been in love with the idea for years. I want the fans to know that the one role I really want to play is Black Panther. I grew up loving the Marvel world, and grew up on martial arts. I still train. When Black Panther came around, he was almost like an African American Batman. Read the comments Oh No They Didn’t! It seems that Team Aldis is the popular opinion for both Black Panther and Finnick from The Hunger Games series. The latest actor to express interest in Marvel Studios’ imminent adaptation of The Black Panther, is Leveragestar Aldis Hodge. Also stating his qualities for the role, check it out after the jump! Aldis Hodge, 25, is best known for his Alec Hardison role on the TNT Leverage TV series, which landed him a Saturn Award nomination for Best Supporting Actor in Television. He has also appeared in Supernatural among many shows. And he currently has two films, The East and Lives of the Saints, in production. What do you think? Created by writer-editor Stan Lee & penciller-co-plotter Jack Kirby, “The Black Panther” (T’Challa) first appeared in “Fantastic Four #52,” and is the first black superhero in mainstream American comics. Back in January of 2011, Hollywood trades revealed that documentary writer Mark Bailey (“Ghosts of Abu Ghraib”) was hired to pen a live-action screenplay focused on the Wakandan king, for Marvel Studios. And recent claims indicate that “The Black Panther” adaptation could officiate Walt Disney Pictures’ currently-untitled June 27, 2014 release date. Marvel to Follow Captain America 2 with Black Panther? Posted on June 6, 2012 Written by Admin - AliKat No Comments on Marvel to Follow Captain America 2 with Black Panther? The Marvel movie rumor mill is cranking out more intriguing “news.” On the heels of the rumor that the X-Men: First Class sequel will be based on the “Days of Future Past” storyline, comes the rumor that another comic book Avenger is going to get his own movie: Black Panther. Possibly conflicting with the Black Panther movie rumor is the fact that Marvel is also actively pursuing an Ant-Man adaptation with director Edgar Wright that, according to Marvel president Kevin Feige‘s recent April update, is “closer than it’s ever been” to production. Still, the Black Panther already has a leg up in the Marvel Cinematic Universe after T’Challa’s fictional African country of Wakanda was an Iron Man 2 “Easter Egg,” appearing on S.H.I.E.L.D.’s computer screens as a location of superhuman activity. Combine that with Wright’s busy schedule — he’ll likely shoot the comedy The World’s End with actor and co-writer Simon Pegg this year and he’s also developing an adaptation of The Night Stalker for actor Johnny Depp — and it’s possible that Ant-Man will have to wait, leaving Marvel to move forward with Black Panther. Of course, the Marvel rumor mill might merely be churning out another fanboy-friendly possibility. SuperHeroHype added this update via their Twitter: “Sources at the studio tells us that the Black Panther movie rumor is not true.” We’ll have to wait and see whose sources are telling the truth.